October 2017 - Don Mills Builder, Inc. October 2017 - Don Mills Builder, Inc. When it comes to decorating your home, whether it’s a brand new custom home or your current home that’s in need of a fresh look, there are some unique trends that have arisen in 2018. If you want cutting-edge design that will give your home a modern look, consider incorporating these decorating tips. And if you want a completely clean slate, building a custom home gives you limitless options. 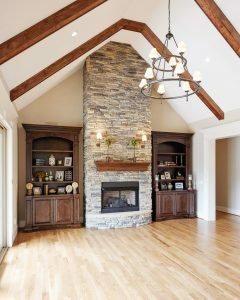 Custom building allows you to design a home to meet your needs and wants, including your decorating ideas. Build your dream home with one of the best home builders in Greensboro, NC, Don Mills. Color. Bold accents that bring out pastel colors in the background offer a calm, serene feel that still hums with excitement. Watercolor pattern on walls and other surfaces give a textured look that is the ideal mix of subtlety and boldness. The lighter watercolors can be reflected in smaller pieces with brighter colors like throw pillows, rugs, and window treatments. Material. As we grow more earth-conscious, the focus is on environmentally friendly materials. Natural wood, stone, marble, clay, cork, and live plants give a variety of textures that allow us to experience décor with multiple senses. Reclaimed wood and recycled materials are replacing man-made, mass produced items. Bringing natural materials inside softens the divide between man and nature. Fabric/Pattern. Soft textures like velvet are returning to current decorating trends, as well as patterns on walls and floors. Trends from each decade from the ‘30s through the ‘90s are being represented, with bold geometric patterns of the ‘70s, jewel-tone velvets of the ‘80s and ‘90s, and even artistic hand-painted fabrics in rich colors from the ‘30s, ‘40s, and ‘50s. Touch and texture are as important as aesthetics in this year’s hottest designs. Room Design. Individual rooms are becoming more focused on their overall purpose than ever before. Beauty and functionality meld in designs and layouts that revolve around use of the room. In 2018 homeowners are looking for convenience, comfort, and style in one low-maintenance package. Busy lifestyles leave less time for perfect room arrangement and create the need for décor that looks stylish and put together even when in use. The architecture and floor plan of your home will influence the overall décor. You can decorate the interior to suit the home, or you can custom build and let the interior décor go hand-in-hand with the design of the home. 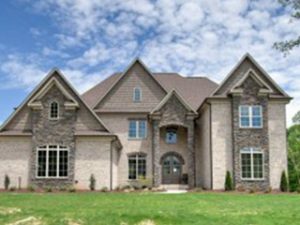 The best home builders in Greensboro, NC, have the expertise to take both aspects of home design into consideration, the structure and the décor. The end result is a home that not only meets, but exceeds your expectations. A custom home is completely unique, reflecting the homeowner’s personality in both the design and décor. If you’re ready to have the custom building experience, contact Don Mills Builders for a consultation at (336) 362-1777. Are you looking for a new home community in Greensboro, NC, with plenty of amenities? Look no further than Jessup Ridge. Here you’ll find a peaceful country setting just 15 minutes from the city of Greensboro. This growing neighborhood has a lot to offer families of all sizes and stages. If you’re looking for a place to call home, consider the five best things about living in Jessup Ridge. Peaceful country setting. If your idea of home includes rolling fields, lush green forests, and a natural landscape, you’ll find just that in Jessup Ridge. Surrounded by trees, the neighborhood is built into the land for a natural setting that is far from the overdeveloped style of other communities. Breathe fresh air, hear nothing but the crickets and birds chirping, and feel at home. Walking trails have been cleared through and around the neighborhood forming a network that connects to the Haw River State Park. There are plenty of opportunities to enjoy the outdoors here in Jessup Ridge. Short commute to the city. The only problem with living in the country is how far it is from the city, right? This is not a concern in Jessup Ridge. Just a 15 to 20 minute drive and you’re in the heart of Greensboro, and the larger cities of Charlotte and Raleigh are under 2 hours away. Spacious lots. Feel like your neighbors are a little too close? Home sites in Jessup Ridge are large enough and purposefully designed with privacy in mind. If you have big plans for your outdoor space, you’ll definitely have room to bring those plans to life. Quality custom homes. Want your home to be unique? Don Mills Builders designs and constructs custom homes in Jessup Ridge that stand out from the rest. Your personal wants and desires for your home can be developed into the dream home you have always imagined. Quality craftsmanship and materials go into every Don Mills original home, ensuring lasting value for generations. Neighborhood pool. When that hot North Carolina sun starts beating down, you’ll be glad for the cool waters of the Jessup Ridge pool. The newest addition to the neighborhood, the pool is available to all Jessup Ridge residents. Need a place to hold a group event? Reserve the clubhouse for your next get together. These top five things about living in Jessup Ridge are really just the beginning. The neighborhood is in a top-notch public school district with alternative educational opportunities nearby. Excellent hospitals and healthcare facilities are in the area, and the Greensboro international airport is easily accessible with just a short drive. Opportunities for shopping, dining, and entertainment are all around in Greensboro and the rest of the Triad. Jessup Ridge offers a true balance between urban convenience and rural atmosphere. Let Don Mills build you your dream home in a dream location. Call (336)262-1777 to schedule a free consultation.